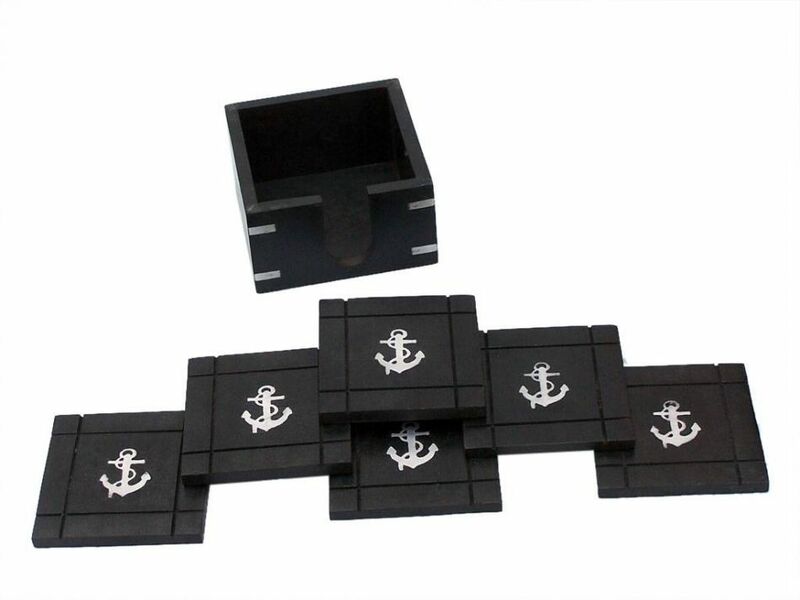 Cast Iron Rooster Bottle Opener 6"
Silver Finish Anchor Towel Holder 9"
Seaworn Blue Cast Iron Anchor Paper Towel Holder 16"
These fun and eclectic decorative wooden coasters with Chrome Anchor Inlay 4" - set of 6.. Each decorative coaster adds a nice nautical touch to your home. 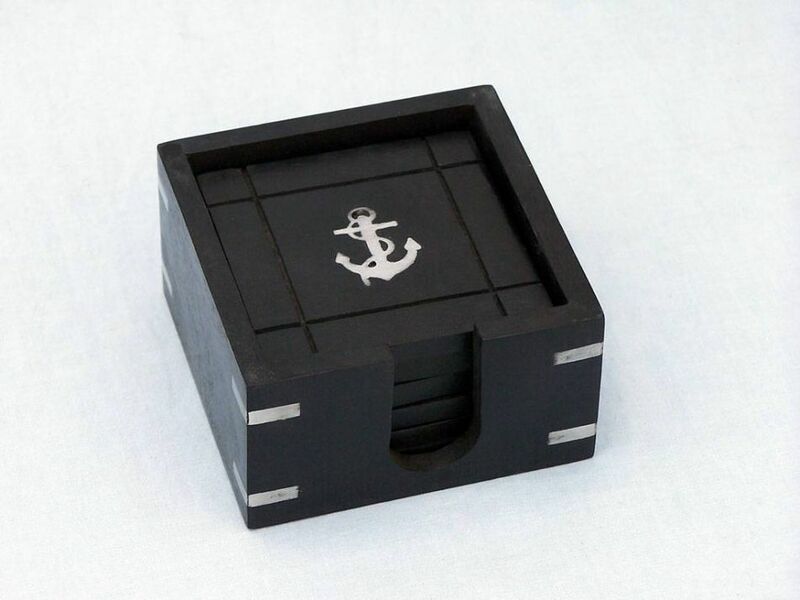 Handcrafted by our master artisians, it is the ideal piece for nautical enthusiasts and beach-lovers alike. 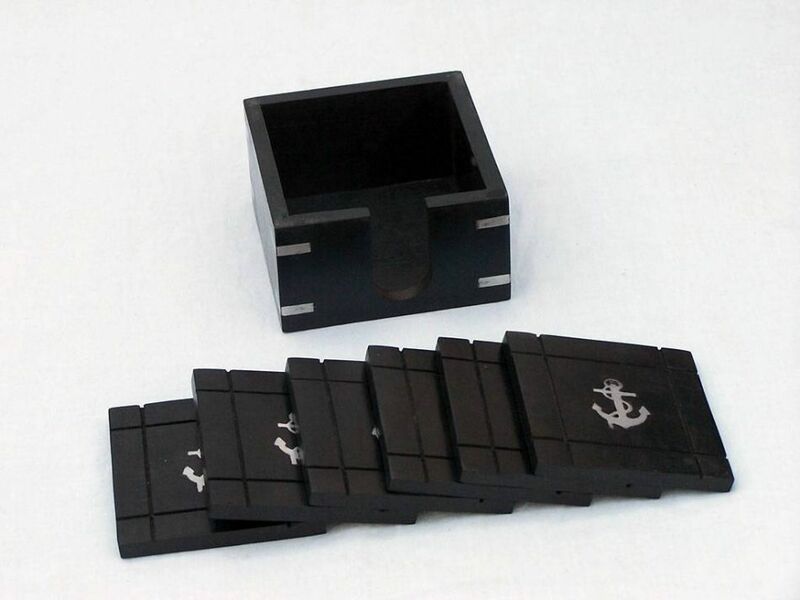 Our black wooden case which holds the coasters, adds a nice nautical touch with the chrome anchor wrapped with rope.